Ancient China, an enigmatic and mysterious land, hides many long lost secrets and mysteries. Anna's grandfather had always had a keen interest in these legends and mysteries. He was especially interested in the Legend of the Lost Temple. After many years of searching, he finally found its secret location high up in the mountains of China.He spent days exploring its mysteries. Upon his return home, Anna's grandfather was stricken ill, affected by its curse and is now dying from an unknown disease. Upon discovering this, Anna decides to seek out this Lost Temple in order to find a cure for her grandfather. Her journey will become a grand adventure - plane crashes, fierce wild animals, surviving the desert... her main goal, the Lost Temple, is not so far away that her journey will not be in vain. Download free full version game today and start your journey! 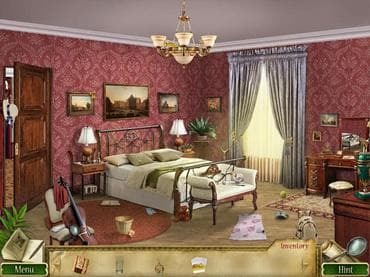 Free Game Features: - Several types of hidden object games; - Free search mode which lets you choose any completed level to play; - Various awards and achievements; - Beautiful graphics. If you have questions about In Search of the Lost Temple game, please contact us using this form.